The Iraqi scholar was arrested by the Iranian authorities in the city of Qom. The followers of Ayatollah Hossein al-Shirazi stormed the Iranian embassy in London on Friday to protest against the capture of the Iraqi religous scholar in Qom by Iranian authorities. A Persian language channel broadcasting from outside of Iran reported that the followers of Shirazi stormed the embassy and raised pro-Shirazi flag. According to the BBC British police said they received a report at 16:20 local time of the Iranian embassy in London being stormed. Four men were arrested, police said, on suspicion of criminal damage and being unlawfully on diplomatic premises. "All four people have been taken to a central London police station. They remain there in custody," a police spokeswoman said. It is understood the protesters did not manage to get inside the building. Iranian foreign ministry spokesman Bahram Ghasemi said Tehran made a strong protest to the British government over the incident, according to the IRNA state news agency. Iran's deputy foreign minister Abbas Araghchi made his protest known to the British ambassador in Tehran, demanding "absolute protection of our diplomats in London and immediate dealing of the police with the attackers", IRNA said. In an e-mail, the Iranian ambassador in London, Hamid Baidi Nejad, confirmed that the attackers were carrying sticks and knives with them when they stormed the embassy. IRNA news agency described the incident in London as a "terrorist act." 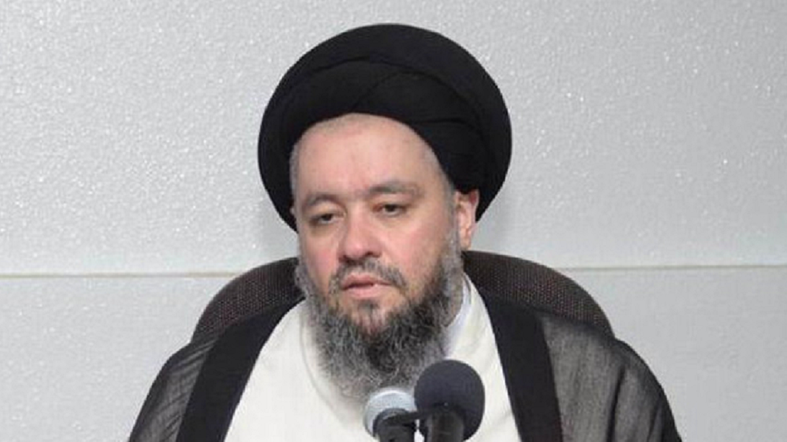 "These are followers of Ayatollah Shirazi, they have done this independently," said Qassim al-Fahd, a media representative of Ayatollah Shirazi in London. "They do not have any organizational links with Shirazi and his representatives, responses from Iranian in Iraqi cities will continue in the coming days,” Fahd warned.